TORONTO, September 13, 2018—Moonlit Promise was making her first start of the season when she won last year’s Sweet Briar Too and went on to a perfect campaign with wins in the Grade 3 Ontario Fashion and Grade 2 Bessarabian. 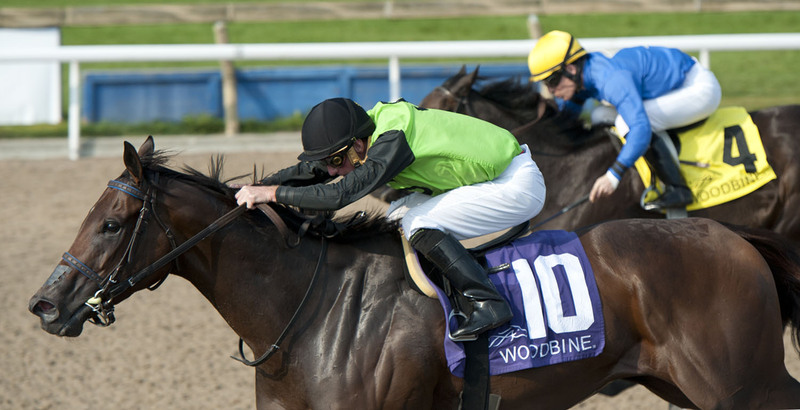 This entry was posted in Woodbine News and tagged Horse Racing, Josie Carroll, Moonlit Promise, Ricoh Woodbine Mile Event, Sweet Briar Too Stakes, Woodbine. Bookmark the permalink.